This hotel handshower kit integrates with other MasterShower components to create a performance showering system. The kit includes a relaxing handshower, slidebar, soap dish, 60-inch metal shower hose, wall supply elbow, and a vacuum breaker. The multifunction handshower offers three sprays for a personalized experience: wide soft coverage, slow pulse massage, and soft aerated sprays. Awaken 3-Spray Handshower In Polished Chrome The Awaken handshower brings KOHLER quality, design, and performance to your bath. Advanced spray performance delivers three distinct sprays - wide coverage, intense drenching, or targeted - with a smooth rotation of a thumb tab. Ergonomic design makes for superior comfort and ease of use, with ideal balance and weight in the hand. The artfully sculpted sprayface reveals simple, architectural forms that complement contemporary and minimalist baths. 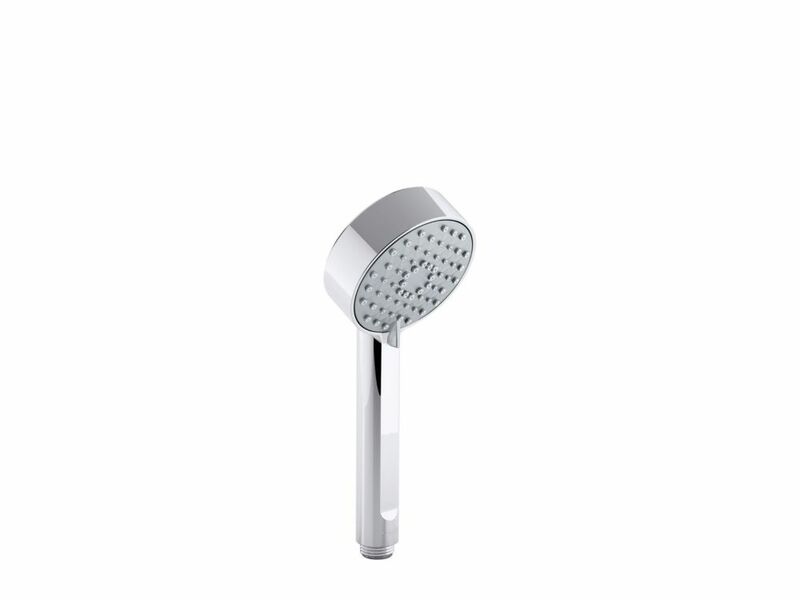 Awaken 3-Spray Handshower In Polished Chrome is rated 4.5 out of 5 by 2.